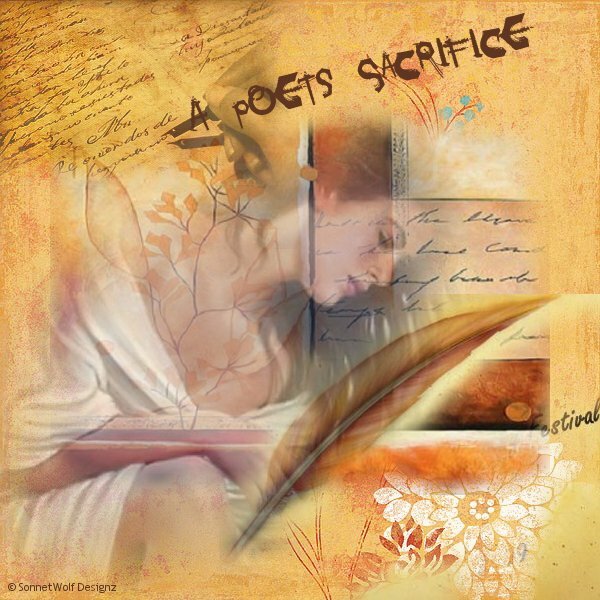 Susan, bravo, take a bow… absolutely wonderful…this poem drew me in to my soul… You out did yourself… Love this poem…the mind and soul of poets.. Oh my.. Just lovely. and who will survive? the echos of yesterday? I am crying…As Poets we can soar through our loves and life’s in a million different directions and what a journey it is.. One of my favorites..
You are so sweet Deb. I’m glad you found meaning here. I was trying to say as Poets, we are like Earth’s Recorder; Mankind’s Sounding Board and Voice for those who cannot speak for themselves or don’t know how: we show them a storm in our words; the petals faling from a wilted flower, the shy smile on a lover’s face taut with uncertainty. We capture those moments non-writers might have missed. I hope in some fashion, I am a reminder to Mankind that I can see and touch and feel and write about those common things in our 3-dimensional physical world, but they must go out and actually experience it for themselves. As Poets, we just give them that gentle nudge to go out into the world and find their place and smell that lazy River that they knew was there all along but forgot about it or were afraid of it. We bring a level of awareness to the sleepers. You are so right Susan. We as Poets and Authors.. Have to write have to put our words from our souls on paper..pen to our lips.. to appease our minds…there are some that do not understand I have found out.. but it’s like we have another sense that no one else can know.. really understand this and love it..
Wow, how can I even touch upon or come close to the comments of Deborah which are so true. I never knew till I wrote my first poem that indeed only poets can truly describe love, life, relationships but it is oh so true and as such, poetry must be the language of love. Beautiful and a wonderful job Susan. Thanks again Deb and Lee, thank you too for your words of encouragement. I think inspiration is all around us…LOL, well, I don’t think it is, I know it is. What I mean to say is that inspiration means different things to different people. While I might appreciate a Sequoia Tree, someone else might totally dismiss it and be enraptured by an Aspen. But no matter what we find divine or interesting in this life, it’s how we present it; what do we do with that inspiration, how we express it. And the difference between us and non-writers is that they may verbally express admiration or discord with something, while we, on the other hand, though of course verbalizing our emotions as well, we just add another dimension and put it into writing. So that the person who missed the Sequoia, well, he will get to meet it in my poem and appreciate it there because his five senses missed it for whatever reason. So, as writers, we bring Awareness to the table. And if someone never experienced the sound of wind through trees, well, as Poets, Writers, it is up to us to give them that experience. I was just using that as an analogy. Of course we all know what wind sounds like, but you know what I mean. They begin to see life through our eyes, our heart, soul, blood and tears. And that’s done through our Pen, the instrument, that carries the thoughts and emotions and places it into the physical world.